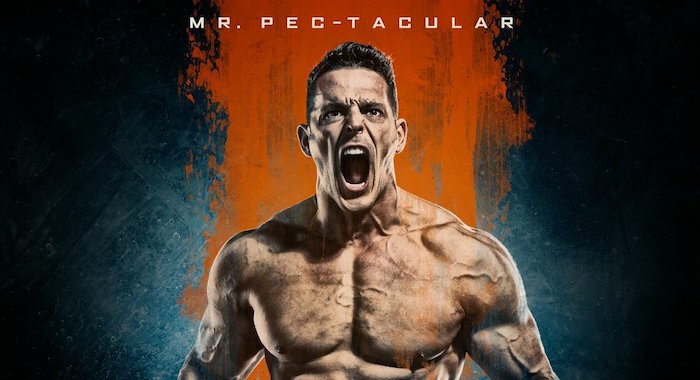 Lucha Underground just announced that former 2-Time IMPACT Wrestling Tag Champ Mr. PEC-Tacular Jessie Godderz will be making a Special Surprise Appearance in The Temple to kickoff the show’s 4th Season Premiere. The episode will air this Wednesday, June 13th at 8:00pmET on El Rey Network. Godderz is also currently shooting the first season of the new Amazon series NEW DOGS, OLD TRICKS set to premiere on Friday, September 28th. That series was most recently featured in Entertainment Weekly and Soap Opera Digest. Godderz is also currently starring on the hit Amazon series TAINTED DREAMS, which has been nominated for 8 Emmy Awards during its run. Godderz is also his celebrating his 10th Anniversary this month as a member of the CBS family, having first appeared on the juggernaut hit primetime series Big Brother during Season 10 in 2008. Godderz has appeared in nearly every other season since, and now holds the record for most appearances of any star on any network primetime reality comp series. Other CBS shows Godderz has appeared on include The Talk, The Young and the Restless, The Price Is Right, The Late Late Show and The Early Show (now CBS This Morning). His new single THE GIRL IS WITH ME, recorded with Multi-Platinum 98 Degrees Legend Jeff Timmons, will be released later this year as well. Godderz also has a couple of other TV surprises coming up in the very near future.